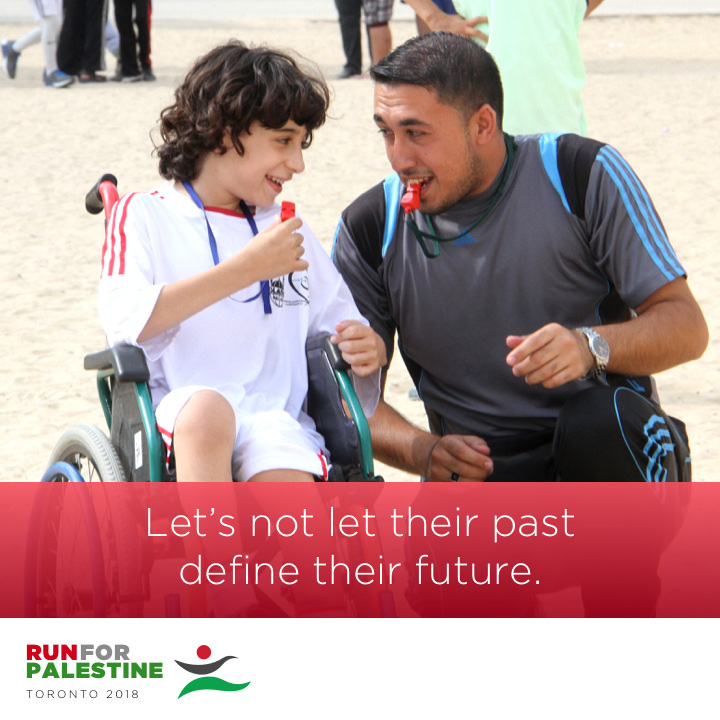 Run for Palestine (RFP) is a family oriented, fun filled day in Toronto that welcomes all members of the community Participants can walk 1 km or run 5/10 km to raise funds for much needed humanitarian projects helping the Palestinian people. In 2017, you helped us raise $25,051 for ‘The Recovering Well-Being of Gaza’s Children’ initiative which was aimed at providing mental health support for Gaza’s children. 800 Canadian's participated to help Palestine’s most vulnerable build a brighter future. This Year, With Your Help, We Can Raise $30,000! Given the ongoing success of this project and the impact that the attacks on Gaza have had on children's mental health, we decided to support this initiative once again. Following the 2014 assault on Gaza, Islamic Relief began a ten year intervention program to provide integrated psycho-social support for Gaza’s children, many of whom suffer from a myriad of psychological problems. The program’s mandate is to provide social, educational, cultural and expressional activities that are pivotal for enabling a healthy learning environment even in the midst of conflict. For more information on this project, visit our website. Your contributions this year will bring hope into the lives of children and families in areas that are highly exposed to conflict and will ensure that Gaza's future generation is educated, cared for, and protected. Let’s work together and raise $30,000 to provide Gaza’s children with the Mental Health support they desperately need.